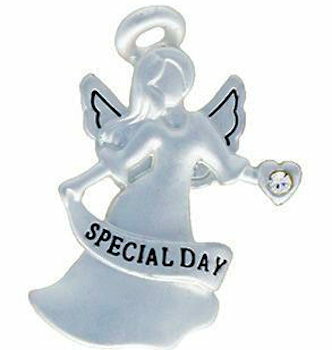 Special Day Anniversary Angel Silver angel pin with halo and wings with rhinestone accent. 1 inch tall. Nice gift box with sentiments. Anniversaries are the milestones, occasions to remember, birthday, wedding of relative. To and from on back of box.